After many years as a printed publication, the Redemptorist Historical Bulletin officially went digital with its Spring 2013 edition. The quarterly newsletter is published by the Institute for Redemptorist Historical Studies-North America. Previous editions are also archived as PDF files on the institute’s homepage. The spring edition discusses Redemptorist ministries to 19th century New Yorkers, a retrospective on the life and work of the Toronto Province’s Father James Mason, and a new feature called "The Brother’s Corner." 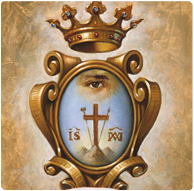 Click here to read the Spring 2013 edition of the Redemptorist Historical Bulletin. NOTE: The triennial Redemptorist History Conference is scheduled for September 30-October 4 at Notre Dame Retreat House in Canandaigua, NY. For more information, click here.